Nottingham based metalcore quintet BLACK INK released their new video for single release 'Lights Out' last week. The single received its first exclusive radio airplay with Alex Baker on his Kerrang Radio Fresh Blood Show. For fans of Killswitch Engage and The Ghost Inside, BLANK INK are highly influenced by bands that break the metalcore mould by introducing other musical elements. They experiment with different styles, whist still staying true to their roots. 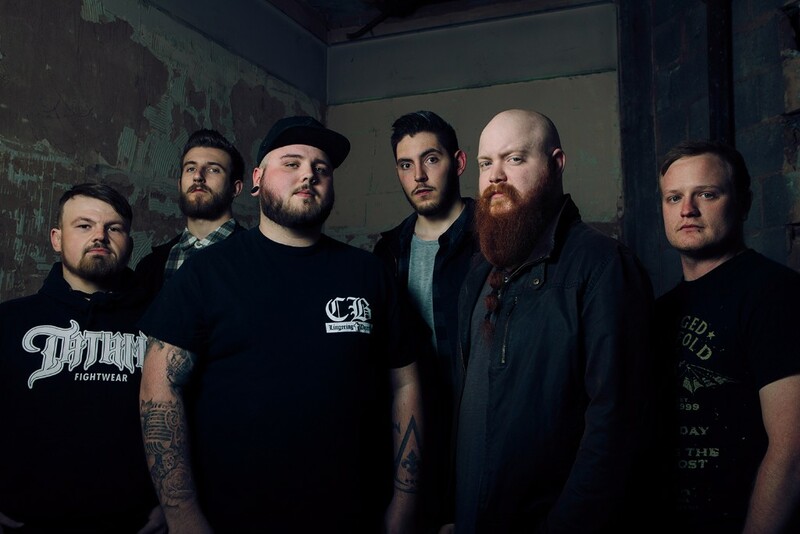 Check out the new video for 'Lights Out' here below..
BLACK INK have only been together for three months and have already supported the likes of Hacktivist and Napoleon at their debut show, Macmillan Festival. "Our new material is a lot more personal and emotional, than anything we've previously written for our other projects. We've drawn from our own experiences of depression, anxiety and anger and about how we've dealt with them. We've also expressed how we've overcome all of those things." - explains Kam Rahmoun, BLACK INK guitarist, when talking about their new single release. 'Lights Out' is very dark, exploring the emotions of someones mind when they're unwell; touching the vulnerability and fear someone experiences when they’ve been pushed to the edge and feel like they’ve lost control of both their body and mind. Musically the track has some catchy riffs, an addictive melodic chorus and an incredible heavy breakdown to get your teeth sunk into!